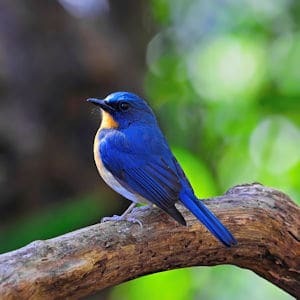 There are few pastimes more relaxing for any animal lover than bird watching, also known as birding. All you’ll need is the correct observational equipment, and you can sit back watch nature take its course. Observing our feathered friends can be a great way to fill a day, and best of all anybody – regardless of age, stature or physical condition – can enjoy it. Let’s take a look at the many and varied ways that you can take up birding, and gain the most from this charming activity. If you plan on taking up birding, there are a handful of things that you’ll need to invest in. Firstly, ensure that you have a set of binoculars. There’s no need to break the bank if you are new to this activity, as you’ll probably find that a comparatively basic pair will set will meet your needs. It’s best to research some online reviews and decide how you’d like to proceed. If you’re a little confused by the jargon and are less concerned by price, this guide discusses the difference between optics and will prove to be hugely beneficial. Choosing the correct optics is akin to learning whether you need bifocals or varifocals to correct eyesight, so it’s important that you know what you’re investing in. This buyer’s guide will shed more light on your future purchase. Not everybody will wish to use binoculars, with some people preferring to invest in a telescope – usually referred to a spotting scope in birding circles. This guide will be helpful for such individuals. You should also ensure that you are wearing the correct attire when bird watching, ideally gentle, drab colors that will not distract the wildlife. A birding vest will help with this, as well as keeping you need close at hand – and don’t forget a wide-brimmed hat if you are likely to be sitting in the sun for a prolonged period of time. Pack a good-quality digital camera, in case you wish to capture those magic moments! Much like binoculars, you may wish to start with something basic and upgrade over time. Avoid flash photography at all times though, as this can upset and frighten birds. What birds you manage to observe and cross off your list may depend where you decide to birding, and when – both in terms of the time of day, and the time of year. You may not even have to leave your own backyard to go birding, as it’s possible to turn a residential garden into a conservation area. You’ll find plenty of suggestions how to do so here, or you could just build a traditional bird feeder. If you’re keen to take your birding experience out on the road, follow these tips to maximize your experience. Backyard Chirper offers some advice on what different birds you may notice at different times of the day. The Spruce also offers some similar tips. The ever-reliable Cornell Lab of Ornithology provides a nationwide map that covers the finest spots for birding throughout America. Other guides are also available from popular magazines Birdwatching and Birds and Blooms, and this guide offers an impressive 150 locations, divided by state. It’s no secret that birds fly south for the winter. If you’re keen to catch them making a return trip in the spring, check out Smithsonian magazine’s guide to the best places to watch migrating birds. For birders with a thirst for travel and adventure, British newspaper The Daily Telegraph offers a details guide of the world’s finest birding holidays. Once all the equipment is in place and a destination has been decided upon, there’s only one thing left to do – identify the different species of birds that have been spotted. Some birders like to keep a journal in addition to any snapshots captured by a digital camera, and the tips below will help identify what particular species have been observed. Sometimes observing certain characteristics can help identify an avian species. The National Aubudon Society has a complete list of different birds that can be found throughout the country. A guide to four basic methods of identifying different forms of bird. A video of these identification methods in action. A smartphone or tablet app that will help identify a bird upon sight. Birds and Blooms magazine profiles some of the most common and popular bird species found in America. Backyard Birding, as the name suggests, concentrates on the many and varied species that you may be able to spot from the comfort of your own yard. Birding is designed to help us bond with our feathered friends and enjoy nature from a safe distance. This, of course, means that we should always strive to follow certain codes of conduct to avoid upsetting the apple cart as far as this hobby is concerned. Never attempt to go birding on private property without an invitation. Observe from a safe distance – do not attempt to engage with the birds directly, or alter their behaviors in any way. Keep away from nesting birds. Leave the area you are birding in as you find it. Avoid using flash photography, playing loud music or anything else likely to frighten the birds. Birding doesn’t have to be a solo diversion – in fact, it can be great fun as a social activity. Try to enjoy the experience with fellow enthusiasts by joining a bird watching club, however. Taking somebody along that does not understand bird watching etiquette will spoil the experience for animals and humans alike. Birding is a great activity that anybody can enjoy, provided the hobby is approached with the appropriate care and respect. Follow these tips and you’ll be all set to enjoy a long and pleasurable hobby.